An experience-based tourism company offering unique cultural trips, with offices in Reñaca – Viña del Mar, Santiago de Chile and Boca Raton – Florida, USA. The company started out at the end of 2010, when Ricardo Ziede, its founder, returned to Chile after a taking a trip covering 32,000 km and 14 countries. He travelled for nine months from Santiago de Chile to Los Angeles, California. On his trip Ricardo explored places that cannot be found on any tourist maps, places which are “between the big cities” and which lie “between the cities and off the tourist trail”. In these places he was able to discover the true character of the local people, the richness of their culture and traditions, and their ability to truly inhabit these areas by keeping the essence of a forgotten culture alive. 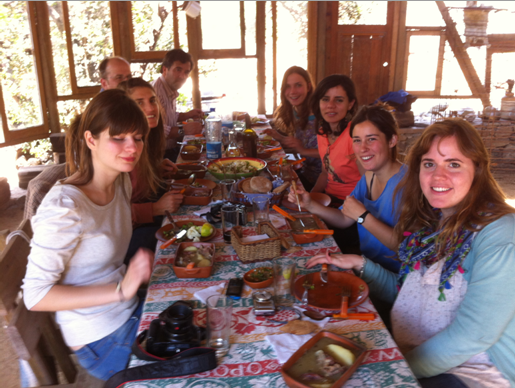 Faces, landscapes and tastes accompanied the trip, and would serve as inspiration for creating Chileway, an experience-based tourism company which looks to offer the experience of an intrepid explorer, eager to learn about the cultures and peoples of different places, through seeing their traditions and way of life. Chileway’s mission is to make the traveller feel closer to the people living in these areas, allowing them to learn about their customs and traditions through sharing their daily activities. On our tours the travellers participate actively in the lives of their hosts, cooking traditional dishes with them and going out to work with them, and through interacting with them being able to understand their roots and way of life. 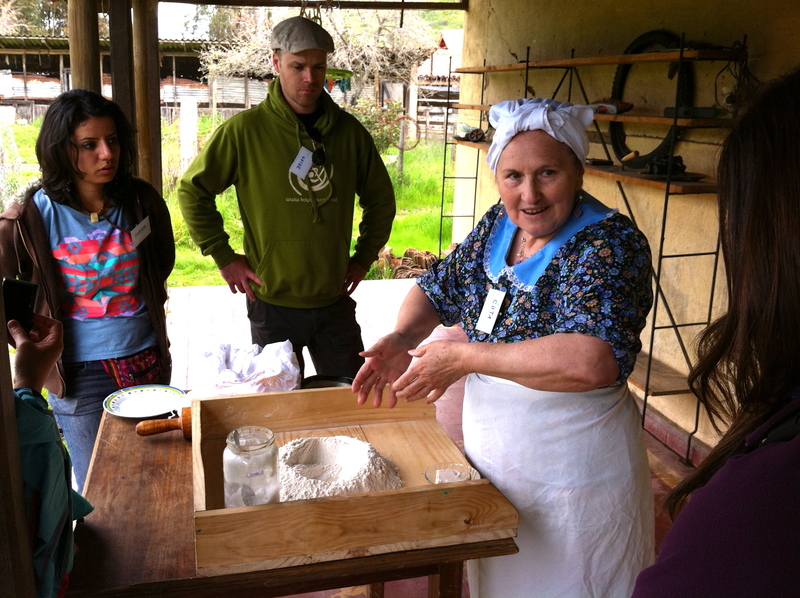 The immersion tourism developed by us shows what happens in the life of a rural village, where traditions are upheld, allowing the visitor to see the authentic Chile found in diverse regions of this long and beautiful country. Our programs are based on sustainable tourism. In Chileway we work with local suppliers, generating production networks in the local areas and helping to keep the local culture thriving. We are focused on preserving the cultural and social heritage of the regions as well as encouraging the protection of the environment. We take care to control the impact we have on these places that we visit, so as not to cause physical, socio-cultural and environmental problems and so as to contribute positively to the local economy. 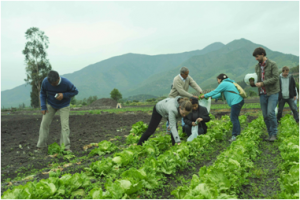 Agrarian farmers: They show us the benefits of agrotourism in their organic fields, the beauty of the surroundings and their traditional cuisine. Fishermen: Next to the sea, the inhabitants of small inlets show us the secrets of their thousand-year-old profession, and tell us about their daily routine, the local varieties of fish that they catch and the tools that they use in their work. Animal farmers: In the rural localities that we visited, insights into the production of goods are combined with educational visits to farms. Visitors have the experience of being farmers for a day, looking after different animals such as wild boar, goats, rams, sheep, geese or peacocks, as well as getting to know the steps to follow for making artisanal goat’s cheese, pork rolls (arrollado huaso), jams, etc. Inhabitants of small villages: Other destinations invite us to travel in time to experience, in hundred-year-old adobe huts, the culture and traditions of small villages frozen in time. We are able to rehabilitate the craft of building with adobe, which was the principal building material in times past, and in so doing highlight its immeasurable historical importance. Local gastronomy and traditional regional activities are also included in the programs. To summarise, our objective is to offer high-quality tourism where all of the participants benefit: The local service providers, for the income that they get from teaching others about their culture and way of life, and the visitors for the enriching experience they take home with them and which they will be able to share with the rest of the world. Our tourist programs are “all inclusive” and invite the traveller to share in a unique and high-quality experience which brings them closer to other cultures. Translated by Juliet Gryspeerdt. All pictures by Chileway.